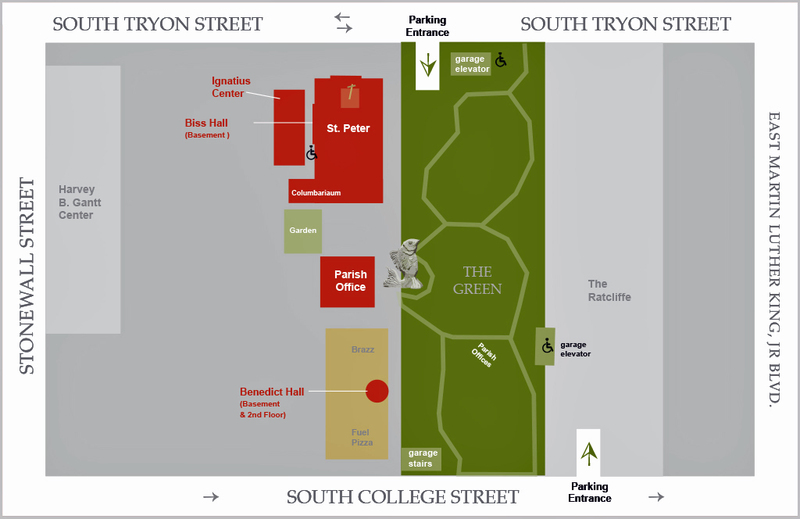 St. Peter Catholic Church faces South Tryon Street at 507 S. Tryon St. Charlotte, NC 28202. Beside the Church, on S. Tryon St., is the Ignatius Center House. It is used for meetings, brides on wedding days, spiritual direction, and other parish activities. The St. Peter Garden is located behind the Church. It is a quiet space for prayer and reflection. Parish events such as Day of Service picnic, Youth Group cookouts, and parish outdoor receptions are held in the courtyard area. The Parish Office is located next to the Garden - just behind the fish fountain on The Green. Administrative offices are located in this building. Benedict Hall is the building on 500 South College Street where St. Peter holds Family Mass (level 2) and education classes (on levels B1 and 2). Entrance is the lobby between Fuel Pizza and Brazz restaurants. The Parsih Columbarium is a sacred space just off the Garden. 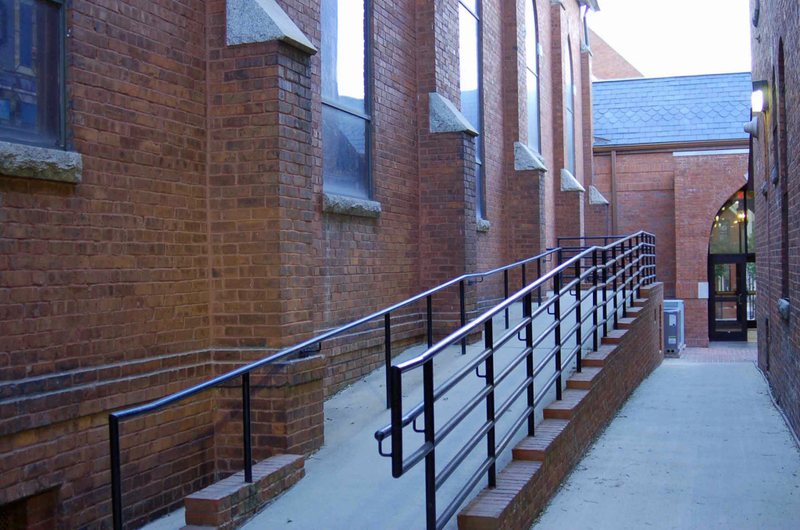 Handicap entrance is at the right of the Church - the ramp enters the Church on the side, near the altar. The elevator and wheelchair are in the glassed-in foyer to the back. ©2019 St. Peter Catholic Church All Rights Reserved.